Cheshire Cleaning Services is based in Stockport and provides a professional window cleaning and exterior cleaning service in the areas of Stockport and Manchester in the North West. The company offers a range of exterior cleaning services which include gutter cleaning, driveway cleaning, roof moss removal, solar panel cleaning and uPVC cleaning plus other related exterior cleaning services. Online enquiries to all window cleaning and other related exterior cleaning services they provide in the region of Cheshire are usually replied to within 24 hours, or you can call direct for an immediate response. Cooks Window Cleaning based in Leigh use the latest window cleaning equipment and techniques for cleaning windows. Using high reach water fed poles, peratives can clean up to 60 feet from ground level to reach windows that are normally difficult to reach. Both commercial and residential customers are catered for, and the services provided also include fascia and gutter cleaning, solar panel cleaning, plus jet washing for cleaning paths, patios and driveways too. For free advice or to arrange a free quote, contact Cooks Window Cleaning via their website or the number below. Lytham St Annes Window Cleaning provides a friendly, professional domestic and commercial window cleaning service in areas of Blackpool, Lytham St Annes, Freckleton, Warton, Lytham, Kirkham, St Annes and all the surrounding areas. Their quality of work and safety record is of the highest standard and the company is fully insured. As well as cleaning windows they also clean fascias, soffits, guttering and cladding. For more details about their commercial and domestic window cleaning services please contact the number below or visit their website for further information. AW Window Cleaning is a professional window cleaning company based in the North West covering many major locations in the region including Merseyside, Cheshire, Greater Manchester, Lancashire and Cumbria. They use traditional methods as well as the latest in water fed pole technology and welcome any enquiries regarding their commercial window cleaning services from customers in these areas. Work is carried out safely to the highest standard in compliance with Health & safety regulations. Mersey View Window Cleaning offer a highly professional, commercial and residential window cleaning service in the Liverpool, Merseyside area. They work using high quality water fed pole window cleaning equipment which provides first class results and has many benefits to the customer. All work is carried out to a high standard and in a safe manner in accordance with Health & safety regulations. To find out more about their window cleaning service and other exterior related cleaning services then visit their website below or give them a call. M & D Window Cleaning based in Ellesmere Port and founded by the owner Dave Hodgson in 2002 are members of the Federation of Window Cleaners and provide a comprehensive window cleaning service in the following areas… Ellesmere Port, Chester, Wirral, Merseyside, Cheshire and Flintshire. 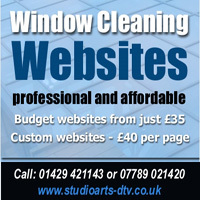 If you’re seeking a window cleaner for commercial or residential work then give them a call for a free quote. I. Lennighan window cleaning services based in Leyland are commercial window cleaning contractors who use a high-reach purified water system to give outstanding results. Free quotations are available to carry out work on schools, shops, hotels, office blocks, industrial outlets, car showrooms, nursing homes, sport and leisure centres and other types of commercial premises where a quick and efficient service is required.